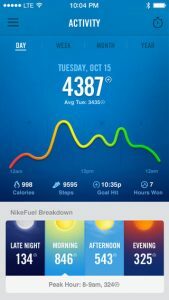 Not so long ago, Nike promised their FuleBand app will get a major overhaul and it seems they kept their promise, releasing the version 2.0 of the popular app. For those not so familiar with the app, FuelBand syncs with your FuelBand accessory via Bluetooth and uploads all your day’s activity to Nike+. 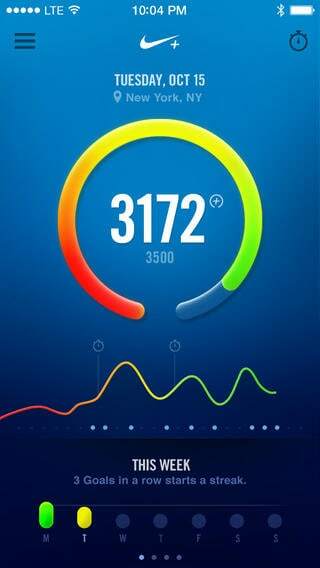 FuelBand comes with a brand new interface, which is considerably faster than the former UI and it looks cleaner, making it even easier to use (if that’s even possible). The app now comes with a slide-out navigation menu bar on the left, dumping the old tabbed user-interface for good. For those unfamiliar with the app, the navigation menu is (or will be) the most abused element from the UI – the ground 0 for all your tracking needs, from your daily activity and workouts to your trophies and social activities. And evidently, there’s a small catch, Nike+ FuelBand app is useless if you don’t have the FuelBand accessory but hey, if you can afford $149 and you’re the active type, you can buy it anytime from the Nike online shop. 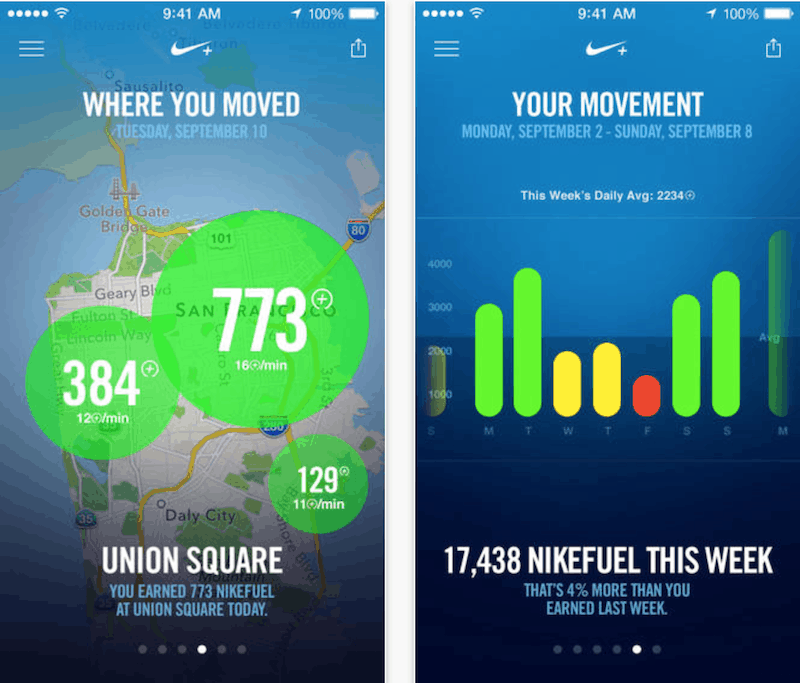 With FuelBand’s update also comes the new Nike+ Move app, which was showcased back in September at the iPhone 5S event, when Apple demonstrated the power of their new M7 coprocessor and their new CoreMotion APIs in iOS 7. Nike+ Move has a simple yet very effective task, converting every move you make into NikeFuel, from walking and running, to biking and..horse riding…maybe. 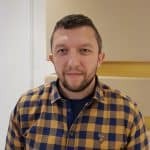 Its main advantage is that it goes VERY easy on your iPhone’s battery life, running in the background silently, with the cunning use of the new M7 coprocessor. A huge deal…and Nike took it very seriously. Add in the mix the fact that you have the possibility to compare your score with other people’s online for that extra self stimulus factor and we may have a winner in its category.